VANCOUVER, Sept. 30, 2016 /CNW/ - Kincora Copper Limited (TSX.V: KCC) ("Kincora" or the "Company"). Following the 10 for 1 consolidation of its outstanding share capital (the "Consolidation") and the closing of its $1,053,060 private placement, (the "Private Placement") as detailed in a news release dated July 28, 2016, Kincora wishes to update the terms of its Share Exchange Agreement with High Power Ventures Inc., ("HPV") as originally disclosed in the Company's news releases dated May 25, 2016 and June 8, 2016, (the "IBEX transaction"). As result of the Consolidation, on closing of the proposed IBEX transaction, Kincora would now issue 5,895,000 common shares and 2,947,500 warrants having an exercise price of $0.54 and a term of 24 months, subject to acceleration in certain circumstances as detailed in the July 28, 2016 news release. There is no cash consideration relating to the IBEX transaction. It is intended that these securities would ultimately be held by the shareholders of HPV, the largest of whom are HPX Techco as to 65.78%, a subsidiary of High Power Exploration Inc., a private company, and GoviEx Uranium Inc., a TSX venture exchange listed company, as to 21.64%. Closing of the IBEX transaction remains subject to Mongolian governmental approvals, with this process ongoing, and has been impacted by an adverse non-binding tax assessment. Independent advice has confirmed Kincora and HPV's original tax position in respect of the existing deal structure under Mongolian tax and corporate law, and discussions are continuing. However, in order to accommodate the ongoing discussions with Government officials, Kincora and HPV have agreed to extend the deadline for closing the IBEX transaction to October 31, 2016. While Kincora is encouraged by Prime Minister Jargaltulgyn Erdenesat's establishment of a working group, headed by the Minister of Justice and Internal Affairs, to assist in situations such as this, it is not certain that efforts to overcome the tax assessment will be successful. Sam Spring, Kincora President and CEO, stated: "A technical workshop and site visit review of targets across the proposed consolidated Kincora-IBEX license portfolio has recently been completed. The Company will continue to inform the market of progress relating to the completion of the IBEX transaction and its implications to field season activities." September 30 -- Origo announces its unaudited interim results for the six months ended 30 June 2016. 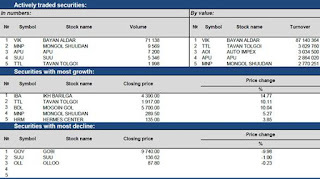 September 30 (MSE) Buy order of 28 weeks Government bonds with annual interest of 16.883%, and 39 weeks Government bonds with annual interest of 16.958% starts from 30 September 2016 until 04 October 2016 through brokerage companies. September 30 (Bloomberg) Five years ago Mongolia's 17 percent growth rate, vast coal and copper resources and strategic location next to China made it an emerging-market darling. Today its financial leaders are headed for Washington to meet with the International Monetary Fund to seek assistance to deal with an economic crisis. Newly elected Prime Minister Erdenebat Jargaltulga is making the request for funds as his country is reeling from the downturn in mining following a peak in commodity prices in 2011. Disputes with investors including Rio Tinto Group haven't helped, leading to a collapse in foreign investment and leaving the government with a growing budget deficit. "The Mongolian authorities have made a request for financial assistance from the IMF to support their economic program, which is intended to address balance of payments pressures and stabilize the economy,'' IMF spokesman Gerry Rice said in an e-mailed statement Friday. Discussions with the IMF will begin next week when Mongolian authorities are in Washington to attend the annual meetings of the IMF and the World Bank, according to the statement. An IMF team led by Mission Chief for Mongolia Koshy Mathai is scheduled to visit the capital Ulaanbaatar in late October to continue discussions. Mongolia had $19.2 million of foreign direct investment inflow in August, down from $34.6 million in July, according to data released by the Bank of Mongolia on Friday. In 2012 Mongolia recorded $4.45 billion in FDI, mainly due to the construction of the first phase of the Oyu Tolgoi copper mine, operated by Rio Tinto, the world's second-largest mining company. Frustrated voters swept the Democratic Party from power in June, giving the Mongolian People's Party an overwhelming mandate to address the deterioration of the economy. One of Erdenebat's first objectives has been to consolidate several budgets to enhance transparency after the previous government had pushed millions of expenditures off the central budget. It also hiked the benchmark interest rate by 4.5 percentage points to 15 percent to prop up the currency. Erdenebat is facing more than $1 billion in debt repayments in 2017 and early 2018 after the government borrowed heavily to finance road and infrastructure projects. The spending hasn't helped the economy, which expanded 1.4 percent in the first half of 2016 and 2.3 percent last year, according to the National Statistical Office. Growth will probably slow to 0.3 percent this year before rising to 1.4 percent next year, the Asian Development Bank said in a statement Friday. The budget deficit doubled this year to $826 million in the first eight months and expenditures were up 24 percent while revenue remained flat, the National Statistical Office said. The central bank has $1.28 billion in foreign currency reserves after it burned cash to defend the tugrik, which has fallen more than 10 percent this year and is one of the worst performing exotic currencies tracked by Bloomberg. In August, the finance minister said the economy is in crisis and the government pitched a series of austerity measures and taxes that were later overturned by parliament. The government is now drafting an "Economic Stabilization Plan" which will include several large-scale infrastructure projects including the development of the Tavan Tolgoi coking coal mine and a network of railways to connect the mines to China. Erdenebat has also announced measures to ease red tape and improve ties with the business community through a Council for Protecting Investors' Rights. Within this council, a working group will be established to research and report cases of misconduct, bureaucracy or unlawful investigations against investors. Historic highs: USD=₮2,284.39 (2016.09.29). EUR=₮2,568.17 (2016.08.19), JPY=₮22.68 (2016.08.18), GBP=₮3,183.26 (2014.08.13), RUB=₮54.32 (2014.06.27), CNY=₮341.81 (2016.08.18), KRW=₮2.08 (2016.09.29), SGD=₮1,689.56 (2016.08.18), CAD=₮1,769.07 (2016.08.19), AUD=₮1,765.65 (2014.08.14), HKD=₮294.98 (2016.09.30), CHF=₮2,369.87 (2016.08.19). Reds are rates that set a new record low at the time. September 30 (Bank of Mongolia) Auction for 28 weeks maturity Government Bond was announced at face value of 30.0 billion MNT. Face value of 30.0 billion /out of 30.0 billion bid/ Government Bond was sold at discounted price and with weighted average yield of 16.883%. September 30 (Bank of Mongolia) Auction for 39 weeks maturity Government Bond was announced at face value of 20.0 billion MNT. Face value of 20.0 billion /out of 20.0 billion bid/ Government Bond was sold at discounted price and with weighted average yield of 16.958%. September 30 (Bank of Mongolia) Auction for 52 weeks maturity Government Bond was announced at face value of 5.0 billion MNT. Face value of 2.5 billion /out of 2.5 billion bid/ Government Bond was sold at discounted price and with weighted average yield of 17.000%. September 30 (Bloomberg) -- Mongolia had $19.2m of FDI inflows in the month of August, a decline of nearly half from July when inflows totaled $34.5m, according to preliminary data from the central bank. Ulaanbaatar, September 30 (MONTSAME) Minister of Finance B.Choijilsuren presented to Speaker M.Enkhbold the bills on 2017 Government Budget, Budget of Social Insurance Fund, Budget Framework Statement, 2018-2019 Budget Assumptions, and other related draft documents, on September 30. Due to the assumptions that the global market prices of mining products produced in Mongolia are not rising considerably in the approximate future, the government budget revenue is not expected to increase by significant amount. In accordance with the Law on Budget Stability, equilibrated deficit of the government budget must not exceed 18.5% in 2016, 9.9% in 2017, 7.5% in 2018 and 5.5% in 2019, and must not see deficit from the year 2020. Applying the principle, the budget deficit in 2017, as set out in the draft law, will not exceed MNT 2.589 trillion. September 30 (news.mn) N.Bayartsaikhan, President of Central bank of Mongolia or Mongolbank arrived in Washington DC, earlier today (30th of September). In Washington, the annual autumn meeting of the International Monetary Fund (IMF) and the World Bank Group will be held from 7th to 9th of October. During the meeting, N.Bayartsaikhan will meet officials of these two organisations as well as make an official request for the IMF 'standby' programme. The IMF made $229 million available in a standby credit arrangement in 2009. The IMF offers standby programs to quickly aid countries with short-term loans not exceeding 36 months. Mongolia is seeking the standby programme as only one of several options for IMF support to help its faltering economy. September 30 (gogo.mn) The Mongolian economy is entering into a phase of adjustment following expansionary monetary and fiscal policies that have created fiscal stress largely from off-budget expenditures, says a new Asian Development Bank (ADB) study. According to the update of its flagship economic flagship economic publication, Asian Development Outlook (ADO) 2016, economic growth slowed to 1.4% in the first half of 2016, but is likely to be slightly more resilient for the whole of 2016 (0.3%) and 2017 (1.4%) than earlier forecast. The main drivers of growth over the forecast period are the underground development of Phase 2 of the Oyu Tolgoi copper and gold mine, and an agricultural rebound following the harsh winter of 2015-2016. Stable food and fuel prices offset the inflationary impact of currency depreciation and expansionary fiscal and monetary expansion. Inflation is expected to be held at 3.2% for the year before rising in 2017 to 5.4%. .
"Mongolia's long term prospects are promising," said Yolanda Fernandez Lommen, ADB's Country Director in Mongolia. "Large ongoing mining projects are expected to turn the balance of the fiscal budget and the balance of payments into surpluses in the years ahead. While successfully managing this mineral wealth is a key for Mongolia's future, more is needed. Ensuring macroeconomic stability and making mining-led growth sustainable and inclusive are among the greatest development challenges, in addition to economic diversification and higher productivity growth." Merchandise exports fell by 9.6% year on year from Jan to Jul 2016, while imports declined by 17.0%, yielding a higher trade surplus and a narrower current account deficit, the report says. This helped trim the overall balance of payments deficit to $46 million. But negative net foreign exchange reserves and large external debt repayments due in 2017-2018 are exerting pressure on the balance of payments. These pressures are likely to continue over the forecast period as the current account deficit widens and external debt is repaid. Supported by external public debt, gross foreign exchange reserves stood at the end of Jun at $1.3 billion, or above 3 months of import cover. Currency depreciation prompted the central bank to raise its policy rate in Aug by 4.5 percentage points to 15.0%. Volatility in global commodity prices, tightening external finance, and sizeable external debt repayments are the main risks to the forecast, she added. ADB approvals for Mongolia amounted to $297.5 million in 2015, including 4 sovereign loans for $275 million, 2 project grants for $6 million, and 17 technical assistance grants for $16.5 million. September 30 (news.mn) The executive board of Ulaanbaatar Railway, which is a joint venture between Russia and Mongolia, has appointed D.Jigjidnyamaa as director in place of L.Purevbaatar. Also, the director of the Irkutsk railway station has been appointed as chief engineer of Ulaanbaatar Railway. The board of the joint venture had been in disagreement over the nomination of the director since the members met on Wednesday in Moscow. The deadlock was broken by B.Tsogtgerel, Minister of Roads and Transportation who nominated D. Jigjidnyamaa as director of Ulaanbaatar Railway after having obtained the Prime Minister's support. The board meeting was important as it selects the next head of the company. It should have been the turn for a Russian to be nominated; but with the nomination of D.Jigjidnyamaa, following on from L.Purevbaatar, the Mongolian side has changed this tradition. September 30 (UB Post) The price for coal has exceeded 200 USD on the Chinese market, yet coal from the Tavan Tolgoi (TT) deposit is being sold for 27 USD per ton. 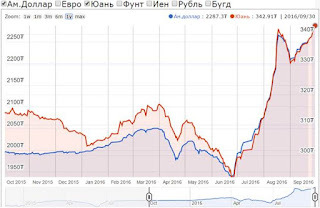 Erdenes TT JSC is selling coal 10 times below global market prices, so who is profiting from this massive price gap? The spot price of high-quality Australian coking coal is around 200 USD per ton in Tangshan, a city in northeast China. However, this price includes mining and processing costs, costs for transportation from Australian deposits to Chinese steel plants, export and import taxes, and other costs. It's important to know how much is being offered for a ton of coal in certain regions and plants. Most Mongolian coal is exported and sold to steel plants in Baotou, Inner Mongolia Autonomous Region. It's inappropriate to compare prices for coal of different quality being supplied to different regions, not to mention comparing Mongolian coal to Australian coal, which is more expensive due to additional costs. We'll need to know the total cost of transporting coal from the TT deposit to Baotou to accurately determine the price of Mongolian coal. A 2014 estimate calculated by the Mongolian National Mining Association states that coal transportation costs amount to 53.5 USD per ton and is 96 USD per ton after adding processing costs. Back then, coal was traded for 100 USD per ton in Baotou. Now it has dropped to 560 CNY, approximately 83 USD. Currently, it costs a total of 105 USD to supply coal to Baotou from Mongolia, reports Erdenes TT. When there's a difference of 18 USD per ton of coal, how are Mongolian coal producers and traders profiting? An Erdenes TT employee says that some 50 percent of the plant's coal is produced from processing raw Chinese coal, but mixing it with TT coal increases the output to 80 percent. Erdenes TT is able to make a profit at this stage. It's impossible to trade TT coal for 50 USD per ton close to the deposit considering the current market. Moreover, there is a gap of 100 USD between coal prices in Baotou and Tangshan. Mongolian traders can sell coal in Tangshan, where the spot price has reached 200 USD, but the transportation costs would rise to 173 USD, and various costs would be added. Transporting coal to Tangshan wouldn't be profitable unless prices there reached 220 to 230 USD, says one expert. Former CEO of Erdenes TT B.Batbileg was asked about coal transportation and prices. He is well acquainted with the process of setting prices, as he worked as the Deputy CEO in Charge of Sales and Marketing before rising to the position of CEO. "It costs a lot to transport a ton of coal over distances ranging between 600 and 700 kilometers across two countries," says B.Batbileg. "It's common to face bureaucracy while traveling across China. It all becomes additional cost." It costs around 15 USD to transport coal by truck from the TT deposit to the Gashuun Sukhait border checkpoint, where Mongolian export tax, customs duties, and Chinese inspection and quarantine costs are imposed. One percent waste is produced during transportation, according to an expert. The Chinese side charges 17 percent VAT, a three percent import tax, and another 40 USD is spent on washing the coal. Another 20 to 25 percent of waste is produced with each ton of washed coal. After these procedures, the cost of a ton of coal equals over 80 USD. On top of this, transportation costs to Baotou are added. The final price of TT coal supplied to Baotou is approximately 105 USD per ton according to this basic estimate. 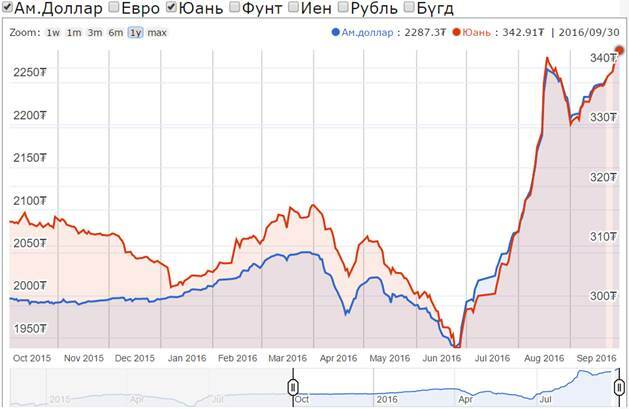 This estimate shows that Erdenes TT is following global market prices and is selling coal for a reasonable price near the point of departure. Australian coal sells for 35 USD per ton near local deposits when the overall cost is subtracted. In other words, Mongolia isn't the only country selling coal for cheap prices. Erdenes TT updates coal prices every quarter according to four indexes, as specified in the agreement between Erdenes TT and Aluminum Corporation of China Limited (CHALCO). Due to this, other companies are reportedly unable to benefit from price spikes. Economists say that it's good to establish long-term agreements, as prices for raw materials frequently fluctuate, meaning that companies are bound to a set prices for a whole quarter, as no one can determine future changes in the raw materials market. This either brings about a loss or gain for the company. Most importantly, stable prices assist long-term business planning. Coal prices have been continuously falling since the CHALCO agreement was signed. Compared to 2012, the price of coal dropped by a whopping 40 percent in 2013, and it has been falling since. Chinese government leaders reduced the working days of local miners from 330 to 276 days a year, boosting coal consumption and increasing coal prices. The CR China Coking Coal Price Index reported that at the start of 2016, coal prices increased by 38 percent. The Australian spot price has reportedly risen by over 100 percent since the second quarter of this year. International media outlets highlighted that neither Mongolian nor Australian companies were able to benefit from this price spike. On Tuesday, the price of processed Australian coking coal exceeded 200 USD per ton, but the Aus tralian agreement with China specifies selling coal for 92 USD per ton. This means that the majority of coal supplied to China is being purchased at a 50 percent lower price, approximately 90 USD less. Currently, Erdenes TT is selling one ton of coal for 27 USD at the East Tsankhi Block of the TT deposit. In the final quarter, starting on October 1, the company will increase the price to around 33 USD per ton according to the CHALCO agreement. Some economists believe that increasing the agreement price by 22 percent in a quarter is an excellent sign for Mongolia's coal market. September 30 (UB Post) The Mongolian judicial sector and its reform has been evaluated from almost every possible angle by experts from various countries and organizations. The latest study in this area, the Judicial Integrity Scan, was conducted earlier this year by the Deutsche Gesellschaft fur Internationale Zusammenarbeit (GIZ). GIZ project coordinator L.Zaya who managed this project gave an overview of the study result in the interview below. How was the Mongolian judicial sector evaluated through the international study? Why was it necessary to conduct this type of study? First of all, let me introduce the organization. GIZ is owned by the German government. It's a public-benefit federal enterprise that provides services worldwide in the field of international cooperation for sustainable development. GIZ begun its cooperation with Mongolia in legal and judicial sectors in 1995. Within this framework, many projects were carried out for developing the legal framework for individuals and enterprises; organizing training for judges, prosecutors and lawyers; strengthening the capacity of legal organizations; and introducing modern technological solutions to the judicial sector and more. At the beginning of this year, GIZ requested to comprehensively study the Mongolian judicial sector from the Judicial General Council of Mongolia. In a way, this is like an inspection. GIZ implements all kinds of projects in over 180 countries. It has experts specialized in every field and has an independent team specialized in human rights and legal environment. Three years ago, this team developed a methodology to evaluate how courts across the globe implement the Bangalore Principles of Judicial Conduct from all aspects. Around 300 questions were inquired from Mongolia regarding the court's inclusiveness, accessibility and integrity; Mongolia's legal environment for judiciary; the consistency of Mongolian rules of judicial conduct with international standards; operation of the qualification committee; and questions about the sub-structure, working environment and independency of the court. Experts were sent to Mongolia to survey the Judicial General Court, Mongolian judges, court administrators, the Mongolian Bar Association, and media representatives; and to verify, compare and review the Mongolian judicial system. The study must've required a lot of preparation. How was the study conducted? Can you verify that the study was completed without any external influence? The preparation work took a lot of time. Two of our best senior advisers in charge of planning and implementation of legal projects worked on this study. They personally reviewed operations o Mongolian courts by visiting courts in the city and rural settlement, and meeting with many judges and other specialists. There is nothing to worry about regarding the validity or independency of the study because an independent and qualified team is sent to subject countries to evaluate the judicial neutrality, independency, integrity, equality, and capacity in accordance with international standards. Was the result of the study different from what you expected? What kind of positive and negative discoveries were made through the Judicial Integrity Scan? The first thing we noticed after making an integrated report on the Mongolian Judicial Reform was that the Mongolia judicial sector performed much better than other countries with similar social and economic situation. Majority of international standards established by the Judicial Integrity Group were reflected in the law and are enforced in judicial practices. It was evaluated that the judicial transparency and accessibility is fully ensured in Mongolia. That sounds wonderful. Did Mongolia have this type of international evaluation conducted before? It's been over 10 years since a study was conducted on the general development of the Mongolian judicial system, as well as a public assessment on this topic. As far as I remember, the latest report on the Mongolian judicial sector was released in 2008 by an American researcher. It caused quite a sensation as it exposed all inadequate and lacking sides of Mongolia in shocking detail. The American researcher concluded that the Mongolian court misunderstood the public and that judges are highly prone to bribery and corruption, causing unexpected concern among experts. The study we did is named "Judicial Integrity Scan" and its main focus is on the implementation of the Bangalore Principles of Judicial Conduct, endorsed by the United Nations Human Rights Commission in 2003. Is the Judicial Integrity Scan conducted in many countries? How many countries have undergone this study so far? We have to thank members of the Judicial General Council, judges, and administrators for participating in our work. Very few countries voluntarily agree to participate in this type of study. In the past, four countries voluntarily agreed to have a study on judicial sector conducted. Now Mongolia is the fifth country to do so. Compared to these countries, Mongolia showed the highest results and received the best evaluation. The most notable outcome was that the fact that Mongolia executes sustainable measures for strengthening judicial power and reform through a general policy. The Mongolian court is well aware that it provides service to the public, according to the study result. Considering these aspects, it was considered that the Mongolian court and judicial administration is independent, economically stable, and ensures independency of judges so that they aren't exposed to any external influence. The report states that these accomplishments boosted the public trust in the court, improved judges and associated people's attitude toward their work, and fundamentally eliminated corruption and bribery in the judicial sector. The study proves that wage increase for judges impact greatly on eliminating external influences on them. Can you elaborate on the court being a service provider? This is a relatively new concept. Until recently, the public feared the court because it was known to govern and enforce authority. If we look further, many preferred not taking matters to court. Now, this has changed and it is a huge achievement for the judicial sector. At present, the public trusts that the court will protect their rights. This is an incredible achievement to make within such a short period of time. How did international researchers evaluate the publicizing of court decisions on the official website of the Judicial General Board? GIZ researchers and experts praised Mongolia's accomplishment of making the Mongolian judicial sector completely transparent. Publicizing court decisions and keeping it transparent restricts judges from making any professional error. Having professionals study everything and enhancing public supervision improves the general structure. Nowadays, people can't file a lawsuit or go to court without an attorney like they used to in the past. Even so, it's necessary to regularly check whether court decisions are kept 100 percent transparent to the public. It's not exactly right to reveal people's full names, address and details of judges. Revealing such information is connected to how a nation runs but I'm sure this matter will be properly discussed and managed in the future. The study result mentioned that Mongolia took a step back in terms of judges' wage. Can you clarify on this? The report states that the previous wage increase for judges was adequate for their livelihood, but experts considered removing the article in the law about not cutting wages of judges as a drawback. Parliament also revoked the article in the law, specifying that the court must have adequate budget for operations. Though this decision was made based on the current economic situation, international specialists view this as a step back in terms of financial stability for the Mongolian court. Mongolian judges receive high salary now but they haven't had this kind of support until recently. Just a few years ago, some judges used to have debt at nearby stores and shops. Moreover, judges have to frequently go on business trips and appointments. Families of judges appointed to rural communities can't have a stable job. There are many judges who had to move to various places within the last 10 years due to transfer to rural settlement. Their homes are usually rented, not owned. Some people don't realize that judges actually have to take care of their family and be the breadwinner. We must take occupational characteristics of judges into account because they restrict most of their rights. In that sense, Mongolia must take a step back in terms of judges' wages. Besides positive achievements, what kind of recommendations were advocated? Researchers' reports included some recommendations that require urgent attention. They recommended elongating the duration of training for new judges and then, enabling them to resolve cases and disputes. In Germany, new judges are trained for half a year before being allowed to judge and resolve cases. I'm pretty sure that most Mongolians are aware that it isn't easy to become a doctor or lawyer in Germany. Relatively young people with inadequate life experience are becoming judges. This is one of the issues we must pay attention to in the future. Other recommendations were related to skills and capabilities of lawyers, urgent need for training and other issues. This comprehensive study on the judicial sector is highly significant for the future policy for judicial reform. September 30 (UB Post) Mongolia has a de jure standard of right-hand traffic. In other words, regardless of whether there is a road or not, two vehicles traveling in opposite directions will pass each other on the left. All regulations and infrastructure related to Mongolia's traffic have been designed for vehicles to have the steering wheel on the left. However, 54 percent of 440,000 vehicles in Mongolia in 2015 had steering wheels on the right-hand side. In the same year, a total of 37,000 vehicles were imported by Mongolia, and 34,000 of them were produced in Japan with right-hand steering wheels. If we look at their value, these exports were worth 210 million USD, meaning 180 million USD was spent on Japanese-made cars. The Japan-Mongolia Economic Partnership Agreement (EPA) has waived import taxes for vehicles that are at least three-years-old, as well as brand new cars, and reduced taxes on cars older than three years. This policy is going to entail a further increase in the number of cars with a steering wheel on the right. Japan bans the use of vehicles more than 10-years-old, and there is a strong interest in selling off seven to eight-year-old cars. According to information from Mongolian Customs General Administration, total exports from Mongolia to Japan from 2011-2015 were worth 72 million USD, while exports from Japan to Mongolia were worth 2 billion USD. Approximately 1.3 billion USD of the exports from Japan to Mongolia were vehicles, 66 percent of which were Prii, the official plural term for the Toyota Prius. Traffic can be made safer, faster, and less congested when the movement of vehicles is suited for a steering wheel on the right or on the left. According to data from the Traffic Police, 2014 saw a total of 11,630 accidents, 59 of which involved vehicles that were not aligned with regulations by having a right-hand steering wheel. If we look at 2015, there were 41,064 accidents, 64.4 percent of which involved vehicles with steering wheels on the wrong (right) side. It can also be seen that traffic accidents increased by almost 400 percent within one year. In order to overtake another car, the driver of a vehicle with a right-hand steering wheel has to move fully to the left for the road ahead to be seen. Besides speeding, this is one of the causes of many traffic accidents. Multiple-year data shows us that when roads improve – especially in Ulaanbaatar, there are increasingly more traffic accidents. Mongolia paved 6,351 kilometers of roads from 2012-2015, and is planning to pave another 5,700 kilometers in 2016-2021. Countryside roads are usually two-way, and have no lines separating lanes. Drivers pass each other at high speeds and without visual aids to distinguish between lanes. Also, many accidents are triggered by drivers taking sudden turns to avoid potholes. Furthermore, traffic slows down overall because drivers spend too much time trying to get their hands out of the front passenger-side window, as many locations have toll stations on the left side. In many cases, drivers have to get out of their vehicle to pay their toll, or receive a parking ticket. The rule of the left lane being for cars driving at higher speeds no longer applies, because most vehicles now have a steering wheel on the right. In other words, we no longer have passing lanes for roads that have enough lanes to allow for them. Regardless of the number of lanes on a road, we do not have differences in vehicle speed anymore. Drivers are too aggressive, and if you demand that they move to the right, you might end up verbally – or even physically – attacked. Many drivers on countryside roads do not change between high and low beam headlights, which forces drivers in oncoming traffic to use their senses rather than eyesight. Vehicles with the steering wheel on the right are adjusted in a way that their high beams are directed to the left side of the road. So, when these cars are driven on a right-hand road, their high beam headlights are directed at the left-hand side of the road, making it harder for the driver coming from the opposite direction to see the road. This is why special tape is put on the headlights of vehicles that are driven on both British and French roads, because they have different standards. If those adaptors are not there, drivers are subject to fines wherever they go. The difference between right and left-hand rules originates from the Middle Ages. As settlements developed, people started using the same roads. While most people were right-handed, they used to carry their swords on their left side, so that they were ready to grab their sword with their right hand. This is where the left-hand rule comes from. By the 1700s, farming developed intensively in America and France, which led to horse-drawn carriages carrying food between towns and cities. People mounted horses on the left to see their left side more clearly and to be able to whip the horse on the right. This started the right-hand traffic standard. History tells us that every country has selected either the right or left-hand side rule to ensure greater traffic safety. It led to regulations prohibiting the import of vehicles that were made to different standards. By the 1990s, almost 80 percent of Cambodia's vehicles had the steering wheel on the wrong side. However, when the new century arrived, a plan was put in place to ensure that steering wheels would be on the right side. Our northern neighbor, Russia, also started modifying Japanese-made cars to adhere to their traffic rules. During the time of Prime Minister S.Batbold, Mongolia ratified a national strategy to ensure traffic safety in 2012. This strategy laid out that the percentage of vehicles with left-hand steering wheels had to be raised to 75 percent by 2015, up from the baseline of 54 percent, and to 95 percent by 2020. Unfortunately, as they say Mongolian laws only last for three days, no one provided oversight on the implementation of this strategy, and vehicles with left-hand steering wheels are dominating the pool. This should fall under the responsibilities of the Ministry of Roads and Transportation. However, given that Mongolian ministries always change their structures and names, many streams of work are simply forsaken without any responsible owners. What would be the most effective thing to do? If we pass a law saying that all vehicles must have left-hand steering columns by 2020 and that importing cars that don't meet standards will be banned, how many lives could we save, and how will traffic flow improve? If we follow current import trends and legalize only vehicles with right-hand steering, we would end up having completely opposite standards from our two neighboring countries. If that happened, it would make the efforts to make Mongolia a transit corridor go to waste, and have counter-effective outcomes. One has to wonder whether the authorities are contemplating this issue. What roadblocks does the government face before they can pass a law to follow the right-hand driving standards? How many lives have to be lost before this is done? September 30 (Mongolian Economy) In the 20 years since my father and I visited Mongolia and decided to establish the Caterpillar Inc. Dealership for the country much has changed, but interestingly much has stayed the same. On June 30th 1996, there were parliamentary elections and the Democratic Union Coalition won a major victory, winning 50 of the 76 seats in the State Great Khural.At that time Tsakhiagiin Elbegdorj was the party leader. On June 29th of this year there were parliamentary elections and the MPP won a landslide victory, winning 65 of the 76 seats and Tsakhiagiin Elbegdorj is the President of the country. Over these 20 years Mongolia has worked hard to establish a democratic free market economy in a part of the world were both are a rare commodity. The challenge continues as Mongolia has experienced periods of economic challenge and rapid economic growth. This roller coast ride has made doing business in the country both exciting and challenging. The last 3 years or so have of course been very difficult but today we have a new government that seems determined to first establish economic stability and then create the conditions that will attract investors back to the country and stimulate growth. Our business is intimately tied to the development of the mining and mineral export sectors, to construction and infrastructure, to energy and agriculture, so we sincerely hope that the new government can promote the development of those sectors to a new level. 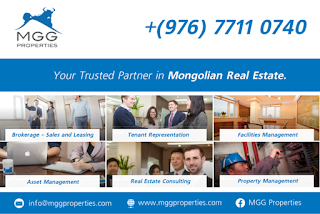 Since our humble beginnings in 1996 we have developed a group of companies that is today staffed by a young, energetic and professional group of Mongolians, supported by a very small group (<2%) of foreign nationals, most of whom are subject matter experts, who are in Mongolia to pass on their skills and experience to their Mongolian counterparts. 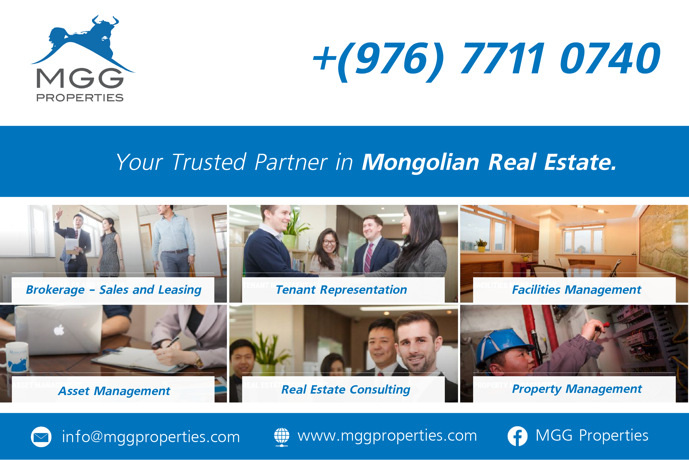 We have achieved this by hiring the best Mongolian talent we could find and by investing heavily in training and development. Our training programs are some of the best available in the country today, whether they are technical, functional or leadership focused. We are a recognized 6 Sigma (quality program) company with 8 black belts and around 200 green belt Mongolian practitioners, and today we provide 6 Sigma training to other major Mongolian companies including, Oyu Tolgoi, Golomt Bank and Petrovis. Our UB workshops and laboratories are state of the art and provide best in class support for our many customers. Combined with our more recent facility developments in the south of the country, including our recently opened 5,000 m2 Gobi Distribution Services which provides support services to the large mines in the Gobi that have the potential to become the economic engine of the Mongolian economy. Over the years we have also prided ourselves on contributing back to the country that provides us with our livelihood and our Corporate Social Responsibility (CSR) program is recognized as one of the best in Mongolia and has resulted in us being recognized both nationally and internationally, including the highly prestigious US Secretary of State's award for Corporate Excellence. Today we remain as optimistic as we were when we first arrived in Mongolia 20 years ago and we wish the present administration every success in getting Mongolia back on the track to economic growth and prosperity. For our part we welcome fair competition and we have grown our business on being able to demonstrate that the products and services we provide represent the best value for money in their category, and all we ask for is a level playing field in terms of the regulatory and legal framework so that we are given the opportunity to demonstrate this. To all our Mongolian employees I wish you a very happy 20th Anniversary and I look forward to working with you all as we forge our future in Mongolia in the next 20 years and beyond. September 30 (gogo.mn) At the city council`s regular meeting, action plan for 2016-2020 to be implemented by the City Mayor S.Batbold was discussed and approved. The action plan was developed and based on the current economic and social situation and its future prospect. By implementing the program, Ulaanbaatar city will become the Northeast Asia's financial, business and tourist center with its high-tech industries, business-friendly environment, internationally competitive green developments, unique styled traditional patterns and independent economy. BEIJING, Oct. 2 (Xinhua) -- The China-proposed Belt-Road Initiative, which is highly consistent with Mongolia's Steppe Road program, will guide the win-win cooperation between the two countries. The Belt-Road Initiative refers to the Silk Road Economic Belt and the 21st Century Maritime Silk Road initiative proposed by Chinese President Xi Jinping in 2013. It brings together countries in Asia, Europe and Africa via overland and maritime networks. The Steppe Road program is designed to boost the Mongolian economy through transborder transportation. It includes infrastructure improvement, such as a new highway to link Russia and China, an electric railway extension of the existing Mongolian railway system and the building of an oil and gas pipeline through Mongolian territory linking Russia and China. In a meeting with Chairman of the Mongolian People's Party (MPP) Miyegombo Enkhbold during his visit to Mongolia, senior Communist Party of China (CPC) official Liu Yunshan on Saturday called for the implementation of the consensus reached by leaders of the two countries, saying the two sides should boost mutually beneficial trade cooperation and closely align China's Belt-Road Initiative with Mongolia's Steppe Road program. During the visit of Mongolian President Tsakhiagiin Elbegdorj to China in November 2015, the two countries issued a statement in which both sides said they would actively promote signing a treaty on aligning China's Belt-Road initiative with Mongolia's Steppe Road plan. In his first official visit to Mongolia in July, Chinese Premier Li Keqiang said the two neighbors are economically complementary to each other and new opportunities in deepening bilateral cooperation have become available. China stands ready to align its Belt-Road Initiative with Mongolia's Steppe Road program and will start a feasibility study on a free trade pact with Mongolia, Li said. Li also said China is ready to make new progress with Mongolia in such fields as the processing of farm and pasture products, housing and infrastructure. He suggested the two sides strengthen financial cooperation and expand the currency-swap scale. Erdenebat said Mongolia will advance cooperation with China in such fields as agriculture, livestock farming, energy, minerals and infrastructure. Erdenebat welcomed more investment from Chinese firms, adding that Mongolia is positive with starting the feasibility study of a free trade pact with China. Mongolia, a country of 3 million people with an economy of 12 billion U.S. dollars in size, is facing the worst economic crisis since 2009. The new government led by the ruling MPP is trying to win investor confidence, cut government spending and find solutions to its mounting foreign debt. The Belt-Road Initiative is expected to help Mongolia overcome the crisis, as many see China -- Mongolia's largest foreign investor and trading partner -- as a major source of foreign direct investment and the largest "market" for its products and services. "If we can become a part of the Chinese Belt-Road Initiative, receive Chinese technology and know-how, push forward large projects and utilize our geographic advantage, it is not difficult to overcome the crisis," said Banzragch Munkhtuul, director of the Mongolian newspaper Mongolyn Medee. She said that Mongolia's geographic advantage of locating between Russia and China offers it a chance to boost transit trade, logistics and transportation between these two countries. About two weeks ago, China's National Development and Reform Commission unveiled the guideline of a China-Mongolia-Russia economic corridor focusing on seven areas, the first of its kind for multilateral cooperation within the framework of the Belt-Road Initiative. Mongolian Ambassador to China Tsedenjav Sukhbaatar said that the plan to build the economic corridor is a milestone in history and Mongolia is planning to develop special foreign investment zones to attract investment. Mongolian economists and public figures believe the Belt-Road Initiative will offer more export opportunities for Mongolia to boost its logistics and transportation between China and other countries through its territory. They say Mongolia has abundant raw materials and mineral resources such as coal, copper and iron ores needed by China, which serves as the basis for mutually beneficial cooperation between the two countries. Meanwhile, they realize that it is imperative for Mongolia to get rid of heavy dependence on the mining industry and explore new sources of economic growth. The Belt-Road Initiative is expected to bring new opportunities for the development in areas such as the mining industry, agriculture, stock farming, light industry, tourism and construction of free trade areas. For instance, Mongolia boasts 73 million heads of livestock farmed by about 200,000 herder households in the vast countryside. Currently, the country's agricultural products lack market access and the government wants to sell them to big consumer markets including China, according to Mongolian media. However, the country's poor infrastructure and ineffective veterinarian and vaccination services have proven to be a big trade barrier. Within the framework of the Belt-Road Initiative, these herders face a better prospect of transporting their meat and dairy products to China in a better and fresh condition, media reports said. Russia's Land Force will conduct joint exercises with Indian, Mongolian, Pakistani, and Vietnamese troops in 2017, the Force's commander-in-chief, Col. Gen. Oleg Salyukov, said. MOSCOW, October 1 (Sputnik) — He reminded that Russia and Pakistan had been carrying out the first joint Druzhba-2016 ("Friendship-2016") exercises since September 23, adding that on October 4-7 Russia would also engage in joint drills of the collective rapid deployment forces of the Central Asian countries "Rubezh-2016" ("Boundary-2016"). "Next year we will conduct joint exercises with troops of Pakistan, India, Mongolia, Vietnam, Nicaragua and CSTO [Collective Security Treaty Organization's] member states," Salyukov told reporters. The CSTO is an intergovernmental military alliance of former Soviet states, which comprises Armenia, Belarus, Kazakhstan, Kyrgyzstan, Russia, and Tajikistan. Next year, Moscow, New Delhi and Islamabad will be allied in the Shanghai Cooperation Organization, a political, economic and military alliance which includes Russia, China, Kazakhstan, Kyrgyzstan, Tajikistan and Uzbekistan, as India and Pakistan are expected to get full-fledged membership in the organization by 2018. Ulaanbaatar, September 30 (MONTSAME) During his attendance in the 71st Session of the United Nations General Assembly, the President of Mongolia, Mr Tsakhiagiin Elbegdorj gave a speech at the Summit for the Adoption of the Post-2015 Development Agenda on September 25. At the dawn of the new century we adopted, and have since implemented the Millennium Development Goals. We achieved many targets, yet some – failed to achieve. But, by and large, the global community passed the test. We all learned lessons and made huge strides. Beijing/Geneva–1 October 2016 (IFRC) The Secretary General of the International Federation of Red Cross and Red Crescent Societies (IFRC), Elhadj As Sy, has reiterated the commitment of the IFRC to strengthen cooperation with the Red Cross Society of China (RCSC) in the face of growing humanitarian needs worldwide. Before arriving in Beijing, Mr Sy visited Mongolia where he took part in the Mongolian Red Cross Society's (MRCS) annual partnership meeting and held working sessions with senior Red Cross and government officials, including Mr Enkhbold Nyamaa and Ms Bolormaa Nordov, MRCS President and Secretary General respectively, as well as H.E. Mr Erdenebat Jargaltulga, the Prime Minister of Mongolia, H.E. Mr. Khurelsukh Ukhnaa, the Deputy Prime Minister, and H.E. Enkhbold Miyegombo, the Chairman of the Mongolian Parliament. Mr Sy praised MRCS for its response to recent disasters, as well as for its efforts to expand its presence and programmes in response to new and emerging humanitarian needs across the country. He joined local Red Cross staff and volunteers in launching the "One Billion Coalition for Resilience" in Mongolia, a global initiative that aims to strengthen the resilience of one billion people by the end of 2025. A glimpse at the lives of Mongolia's Tsaatan. September 30 (The Diplomat) Tsaatan literally means "reindeer people" and actually there could not be a more appropriate term to describe one of the least numerous ethnic minorities in Mongolia. Approximate 200 members of this tribe remain today. Inhabiting the mountains of the northernmost region of Mongolia, they focus their entire culture around their reindeer, moving seven times a year to comply with the animals' specific dietary needs. Tsaatan society is divided into the East and West Taiga. Eastern Tsaatan mostly live and move together as a clan, forming camps, whereas families from the West Taiga practice a more independent lifestyle. Whilst men work as reindeer herders from childhood, women work at their Ortz (traditional Tsaatan homes) to prepare any culinary product that can be produced out of this animal, such as milk, butter, yogurt, cheese, or meat. Pine nuts and wild berries complete their basic nourishment. In 2012, the region where Tsaatan live was declared as a national park, introducing a ban on all hunting and strict restrictions on the areas where they traditionally camp. Those new regulations are demanding an effort to adapt and preserve a lifestyle that requires surviving -40ºC winters and living at altitudes of over 2,000 meters above sea level (masl) in order to be able to continue with their main labor of love: taking care of their reindeer. OKAYAMA, September 30 (The Asahi Shimbun)--Japanese scientists have found an enormous footprint of a dinosaur in Mongolia's Gobi desert that dates back more than 70 million years, the Okayama University of Science here announced Sept. 29. The discovery of the 106-centimeter track was made Aug. 21 by a joint team from the university and researchers from the Institute of Paleontology and Geology of the Mongolian Academy of Sciences. Scientists said dinosaur footprints larger than 100 cm are a rare find, and the latest discovery even shows a clear imprint of a claw. The track was found in a geological layer dating to the late Cretaceous period around 70 million to 90 million years ago, and is believed to be from the left hind foot of a giant plant-eating sauropod, according to Shinobu Ishigaki, a professor from the Okayama University of Science, and the leader of Japan's research team. "A whole skeleton of a giant dinosaur that left such a massive footprint has yet to be uncovered in Mongolia," Ishigaki said. "A fossilized skeleton of such a dinosaur is expected to be eventually discovered." Masateru Shibata, a lecturer and researcher with the Dinosaur Research Institute at Fukui Prefectural University, said that fossilized footprints are just as valuable as fossilized bones. "Footprints are living evidence of dinosaurs," Shibata said. "There is a lot of information that can be obtained only from footprints, including the shape of dinosaur feet as well as the ways in which they walked. "Most footprints of giant dinosaurs are fuzzy. This discovery is valuable because the shape of a claw is clearly identifiable as well as the sole of the dinosaur's foot." Ulaanbaatar, September 30 (MONTSAME) Mongolia's Erdenesuren Munkhtulga, riding for Ningxia LIVALL continental team, won the first stage of a two-day international cycling race in north China's Hebei Province on Wednesday, Xinhua reports. Munkhtulga finished the 138-kilometer stage in 2 hours 54 minutes 13 seconds, two seconds ahead of Fedorov Ruslan of the Uzbekistan Taskent team. The third place went to Vasilyev Maksym of Ukraine's Kloss BDC continental team, who clocked 2:54:17. Some 200 professional cyclists from Europe and Asia along with 400 amateur cyclists entered the two-day race for 270,000 RMB (about 45,500 U.S. dollars) in prize money. For the professional group, the second stage will feature a 134.6-kilometer race including two sections on mountain roads. September 30 (UB Post) Minister of Education, Culture, Science and Sports J.Batsuuri met with the Mongolia national Paralympic team, which last week returned from the Rio 2016 Paralympics, on September 26. The Mongolian Paralympic team, which consists of eight athletes, brought home two bronze medals from Rio 2016. The bronze medals were won by judoka B.Uugankhuu and powerlifter E.Sodnompiljee. Archers D.Baatarjav and B.Oyun-Erdene came in fourth place in the mixed team category at Rio 2016. Athlete G.Tsogtgerel came in fifth place in the women's shot put event. During the meeting, Minister J.Batsuuri said, "Congratulations on raising the stage flag of Mongolia in Rio de Janeiro. I am very happy that all of you worked so hard and achieved, but we can't forget one thing. This year's Paralympics taught us a lesson. You always have to think about the next Paralympics and train. We will support and help you with everything we can." September 30 (UB Post) A Mongolian woodball team will participate in the 5th World University Woodball Championship, which will be held in Taipei, Taiwan from October 21 to 26. The Mongolian team will include coach M.Ganbold, team leader B.Bayanbulag ,and 11 athletes: Z.Baitagsuren, M.Nandintsetseg, J.Shinenjamts and B.Azzaya from Mon-Altius Physical Education Institute; Sh.Batjargal, B.Bilguundalai and E.Tsenguul of the Mongolian University of Science and Technology in Darkhan; Ch.Uuganbayar, M.Khurelmunkh, J.Naranchimeg and G.Myagmarsuren from the State University of Life Sciences. September 30 (UB Post) Mongolia hosted the sixth Asian University Men's Basketball Championship, which was held last week at the Basketball Palace in Khandgait and Buyant-Ukhaa Sports Palace. The Mongolian national university team claimed victory at the event. Taiwan and China won second and third places at the championship. This was the first time that the Mongolian team won a gold medal in team sports at the Asian University Championship. Basketball teams from South Korea, China, Macau, Mongolia, Kazakhstan, Taiwan, and Hong Kong competed in the championship. The Mongolian national university team and officials held a press conference on September 28. Secretary-general of the Mongolian National Basketball Association R.Tsevegmed said, "Mongolia successfully hosted its third Asian University Championship. Mongolia organized the Asian University Table Tennis Championship in 2008, Asian University Women's Volleyball Championship in 2012, and the Asian University Men's Basketball Championship in 2016. I want to thank everyone who supported this tournament and helped organize it. There were no controversies during the tournament. Four foreign referees and six Mongolian referees worked in the judges' panel. International experts admitted that Mongolian referees' skills are as good as other countries' referees. I saw some language barriers between referees. Mongolian referees have a chance to work at international organizations and tournaments if they improve their language knowledge. I also believe that team sports can be developed broadly in Mongolia." Ulaanbaatar, September 30 (MONTSAME) Mongolian team won silver medal in 3-on-3 Men's Basketball of the Fifth Asian Beach Games, taking place in Da Nang of Vietnam. Our team have defeated Iraqi team in the semi-finals, with 20:7 score, and has lost a close match (15:12) with Qatari team in the final. Mongolia is being represented in the 2016 Asian Beach Games by 37 athletes, being challenged in eight sport categories. The national team has grabbed two gold, two silver and three bronze medals in wrestling and jiu-jitsu. September 30 (UB Post) The Mongolian Contemporary Art Support Association and Swiss Agency for Development and Cooperation are jointly sponsoring an art project titled "Nomad Spirit". Within the frames of the project, Brazilian artist Mauricio Dias and Swiss artist Walter Riedweg, more commonly known as Dias & Riedweg, came to Mongolia to take part in the project. On September 28, the two artists held an event to talk about their artworks at the Fine Arts Zanabazar Museum. The artists have been working together since 1993 to create collaborative and interdisciplinary public art projects, videos and performances. In their work, Dias & Riedweg explore issues of social politics and subjectivity using "experimental practices that connect the center with the margins of urban society". They have released art projects worldwide and participated in major international exhibitions, such as the Biennales of Sao Paulo (1998 and 2002), Istanbul (1998), Venice (1999), Havanna (2003), Gwangju (2006), as well as Documenta 12 in Kassel (2007). The Nomad Spirit project aims to raise public awareness on potential threats to important environmental and cultural resources in rural areas of Mongolia caused by mining activity. Maurice Dias, Walter Riedweg, E.Enkhzaya, J.Bolortuvshin, G.Munkhbolor, Ts.Davaajargal, and S.Ganzug have been included in the project team. The team took part in an expedition that lasted 11 days in Uvurkhangai, Arkhangai, Tuv and Bulgan provinces to explore local cultures, people and nature that are affected by mining and human related activities. The project will also hold an exhibition at the Zanabazar Fine Art Museum from November 18 to December 10.